Because every woman is allowed to believe in themselves and their dream, the SheBelieves Cup has a new champion as England traveled all the way from Europe to dethrone the USA on their own ground. As the 2019 SheBelieves Cup enters its final matchday, it must be noted that the reigning champions do not hold their fate in their hands anymore. Only England came out as victors on Matchday 1 of the SheBelieves Cup as Japan held USA to a draw whilst Brazil failed to protect their lead. In our match preview informing you where/how to 2019 SheBelieves Cup encounter between USA and England, we compare current form, team statistics, and analyze both teams’ head-to-head record. What is the form of USA in contrast to England's? In our match analysis informing you how to watch USWNT's 2019 SheBelieves Cup opener against Japan, we compare team statistics and analyze their history. What is the SheBelieves Cup and who are participating? Real Madrid vs Barcelona, Chelsea vs Tottenham, Liverpool vs Watford, and USA vs Japan comprise our list of must-watch games on Wednesday. The 2019 SheBelieves Cup kicks off soon with a lot of mouth-watering fixtures as all of its participants prepare toward the 2019 Women's FIFA World Cup in France. Live Soccer TV is on hand to provide all the info you need to follow the invitational tournament. When does the 2019 SheBelieves Cup start? The 2019 SheBelieves Cup – the fourth edition of the invitational women's football tournament – will commence on Wednesday, February 27. The competition will be concluded on March 5, 2019. ESPN, Sport1, Fox Sports and BBC are among the major broadcasters for this year’s SheBelieves, Algarve and Cyprus Cups. Just as done in the past years, the 2018 edition of the SheBelieves Cup will be held in the USA with England, Germany, and France coming in as the invited countries. The competition will once again employ the round-robin format used in the previous edition. Germany are the new leaders of the FIFA Women's World Rankings, dethroning USA from the top. USA and France both stand a high chance of being crowned 2017 SheBelieves Cup champions. The USWNT will face France in the second match of the 2017 edition of the SheBelieves Cup in Washington. The Yanks have a great chance of clinching this trophy if they beat France by any scoreline. USA and Germany kicked off their their SheBelieves Cup campaign with the right footing. Here's where and when to watch England's womens national football team in action in the SheBelieves Cup. 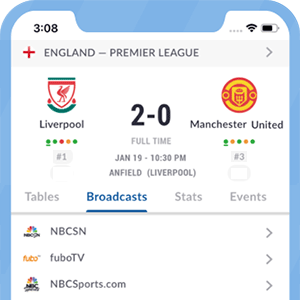 To watch England SheBelieves Cup matches live, visit the match page on our website for geo-localized global TV listings.